If you are going to frequent a racebook, you soon find its a different world. The bets are different, the atmosphere can vary from quiet to electric, and some racebooks are away from the rest of the casino. In all, it exemplifies the differences in casino offerings and the bettors that take part. Here is a primer I posted almost three years ago. Enjoy. of each runner’s past races. This information is contained in the programs that are available at the program stand. With a little time and effort, you can learn how to read the past performances and grasp the fundamentals of handicapping. WIN (moderate)With this wager, the horse must come in first. PLACE (easy)The horse must come in first or second for you to collect. 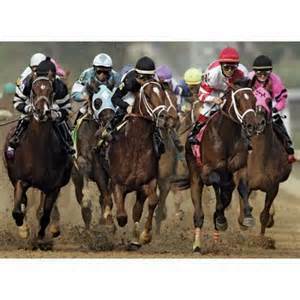 wager in racing and your safest chance at cashing a ticket. Quinella (least difficult)Your horses must finish first and second – in any order – for you to collect. For example, if you bet a 1-2 quinella, you win if the finish is 1-2 or 2-1.You would make the wager by saying: $2.00 quinella 1-2.
they must finish in that order. Make the wager by saying: $2.00 exacta 3-8. Trifecta (tougher)The runners you select must finish one, two, three in the exact order. 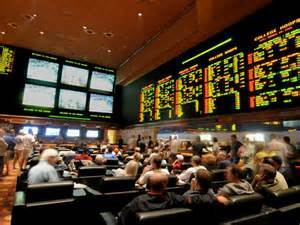 Make the wager by saying: $2.00 trifecta 6-8-10. Superfecta (toughest)Your horses must finish first, second, third and fourth in order to collect. The superfecta is the ultimate thrill-seeking wager for a single race. Daily Double (tough)You must correctly select the winner in each of the two designated races. 2 – 8. If the 2 wins the first race and the 8 wins the second race, you collect! must win in order for you to collect. The Pick 3 is much tougher than thedaily double, but the payoffs typically make up for it. Pick Four & Pick Six (toughest)This wager is similar to the Pick 3, except you must pick the winners of four (Pick 4)or six (Pick 6) consecutive races. The Pick 6 is the ultimate jackpot wager in the racing industry with lotto-like payouts because all six must win for you to collect. a race, then you might want to “key” him. Let’s say you like #3 to win. say “$1.00 exacta key 3 with 5, 7, 8.” The total bet would be $3.00.